A systemic herbicide for use in industrial and amenity areas and in forest and forest nurseries. PROLIANCE QUATTRO applied to foliage is translocated throughout the plant, controlling all parts including roots, rhizomes or stolons. After treatment, discolouration of the leaves is seen first on grass weeds but takes longer to appear on broad-leaved weeds. Proliance Quattro is a systemic total herbicide for the control of a wide range of annual and perennial weeds in industrial and amenity areas. It is an advanced glyphosate formulation which incorporates a fully optimised surfactant system and water conditioner. Having no hazard classification, Proliance Quattro offers a high standard of operator and environmental safety when used as directed. Avoid release to the environment Collect spillage Dispose of contents/container to a licensed hazardous-waste disposal contractor or collection site except for empty clean containers which can be disposed of as non-hazardous waste. WEAR SUITABLE PROTECTIVE GLOVES when handling the concentrate or handling contaminated surfaces. WEAR SUITABLE PROTECTIVE CLOTHING (COVERALLS), SUITABLE PROTECTIVE GLOVES AND RUBBER BOOTS when applying by hand-held equipment. WEAR SUITABLE PROTECTIVE CLOTHING (COVERALLS), SUITABLE PROTECTIVE GLOVES, RUBBER BOOTS AND FACE PROTECTION (FACESHIELD) when applying by hand-held weedwiper, making cut stump treatments or making stem injection treatments. KEEP LIVESTOCK OUT OF TREATED AREAS. DO NOT USE in hedgerows, or allow drift into hedgerows. 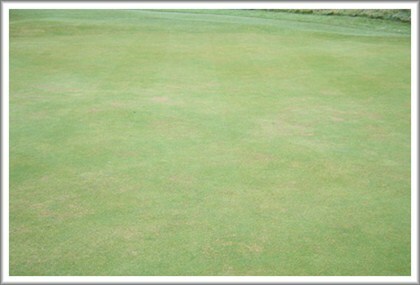 PROLIANCE QUATTRO must NOT be tank mixed with pesticides, fertilizers or adjuvants. Such mixtures may lead to reduced weed control. Apply through a well maintained conventional hydraulic sprayer as a MEDIUM or COARSE spray (BCPC definition). Ensure that the sprayer is correctly calibrated before use. Do not leave the spray liquid in the sprayer for long periods (i.e. during meals or overnight). Ensure that the sprayer boom is adjusted in height so that the spray pattern gives good, even cover. Knapsack applicators PROLIANCE QUATTRO may be applied through knapsack sprayers.Cover weed leaves evenly, but do not spray to the point of run-off. CDA applicators When using rotary atomisers the spray droplet spectra produced must be of a minimum Volume Median Diameter (VMD) of 200microns. Select the correct rate of PROLIANCE QUATTRO and make up to desired volume with CLEAN water. Calibrate and operate according to manufacturer's instructions. Hand-held weedwipers PROLIANCE QUATTRO may be applied through a hand-held weedwiper. Use a concentration of 1 part of PROLIANCE QUATTRO to 2 parts water. Do not exceed this maximum concentration. A water based dye may be added if required. Ensure that the sprayer is clean and correctly set to give an even application at the required volume. Half-fill the spray tank with clean water and start agitation. Shake the container and add the required amount of PROLIANCE QUATTRO to the sprayer using a filling device (e.g. induction bowl or closed transfer unit) or by direct addition to the sprayer tank. Wash out containers thoroughly, preferably using an integrated pressure rinsing device, or manually rinse three times. Add washings to the sprayer at the time of filling. Top-up the tank with water to the required level. 80-250 litres of water per hectare through conventional mounted or knapsack sprayers, or 40 litres of water per hectare through rotary atomisers. 200- 250 litres per hectare is the preferred volume where crop or weeds are dense and good coverage is necessary. Do not spray in windy weather. Apply to actively growing weeds. Effectiveness is reduced when growth is restricted by natural senescence, drought, waterlogging, frost or high temperature.